Wilier was born in 1906 thanks to the brilliant idea of a trader from Bassano, Pietro Dal Molin, of building bicycles on his own account. His forge or \”Steel horses\” rose as a small workshop along the banks of the river Brenta, at Bassano del Grappa, and it became more and more successful by keeping up with the increasing demand for bicycles. For this reason, Dal Molin determined to set up a professional team captained by the triestin Giordano Cottur, well-know for succeding no less than Gino Bartali during the Bassano-Monte Grappa lap for amateurs. In the same time, according to the common feeling of uneasiness about the fate of Trieste, Dal Molin decided to associate the name of this julian town to that of his own firm. In this way, in Autumn 1945 the Wilier Triestina was born, distinguished by its red copper-coloured bicycles, which later became an authentic trade-mark. Strong in its success and thanks to the prestige it had gained, in 1947 Wilier bought up a promising young cyclist: Fiorenzo Magni, this one, instead of being crushed in the challenge between Coppi and Bartali, found out the right system to become the third great protagonist of Italian cycling, by winning the Tour of Flanders and Giro d’Italia in 1948. Unfortunately, after the first enrapturing phase of national reconstruction, in the early ’50s, came the period of the economic miracle: people gave up bicycles t discover scooters and motorbike. Cycle firms suffered the damage of progress, and in 1952 Wilier Triestina had to shut down and leave its agonistic activity. Nowadays, the glorious story of this firm and of its \”copper-coloured jewel\” lives again thanks to the Gastaldello brothers from Rossano Veneto, who bought the Wilier Triestina mark in 1969, proud to bring again great favour to one of the best known Italian cycle houses and providing dozens of professional and dilettantish Italian and foreign teams with their bicycles.  Wilier Triestina continues to increase and consolidate its presence in the international market, with double digit growth in terms of revenue and bicycles produced.